Roller shutters, what are they used for? The roller shutters are a type of door or shutter for windows which has many horizontal lines connected together. It can be raised up to open the place and lowered down to close it. For huge and large doors the shutters have to be supported by the motors. It gives protection from wind and rain. It also helps to maintain the place safely from any burglary or theft. 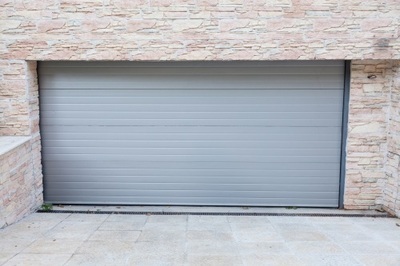 Roller shutters have many applications that include doors for garages, vans, schools, prisons, kitchens, and warehouses. Across the various parts of the world, roller shutters are given a subsidy by local governments so that the security of the country improves. In some areas there are frequent changes in the weather; roller shutters are best used as a mode of insulation and safety that helps to protect windows from damage. There are many types of shutters manufactured. Let us have a look into them now. The first and the very basic type are called as built in roller shutters. As the name itself says it is fixed on the external wall of the entrance gate of the place. They act as a door for the place. They are first opened and then the gate of the place can be opened. It helps to give double security for the place. Next one is the Integrated type which can be installed anywhere. It has a combined use which means the doors as well as the windows are protected by these shutters. The shutter box and the windows are combined to be a single unit. One more type is called as shutters with tilting lines. It has lines that tilt which similar to blind. Next comes the Manual one. It has a gear drive that is connected with the shutter roller and is traced to the building entrance. From there it is connected to a universal joint on the room side which can be operated with the help of winding handle. There is also a addition to this type called as Manual tape. A tape drive is fixed around the roller and is traced to the building gate with help of the pulley that guides to a reel on the room corner. Here is the next type which is called as electric shutter. This type is connected with the motor that is fitted with a roller in it. It needs automatic operation and has to be operated with help of power. This simplifies the work as it does not have any manual work involved in the process. Just with a click of a button the shutters will open up for the use. Now let us look in to the details of a fire shutter. It can be manual or electric roller shutter which takes the support of Woods Metal to operate and heavy weight bar to help the closing. It can be connected with the Fire Alarm System which facilitates the automatic closure of doors in case of any fire emergencies. The components used to make these shutters work effectively should be looked in to now. The first is the lath which is made of steel, aluminium or even PVC with single or multiple walls around it. Next is the roller which is also made in steel or aluminium. A tube shaped thing that supports the end-to-end of the plate. The shutter box is also an important thing in these shutters. This is designed to protect the rollers in steel or aluminium. The other necessary parts are the springs used in the shutters, rail or track, bottom lath and finally the lock. All this forms together to make a roller shutter. Europe shutters is the topmost roller shutters company in delivering best quality roller shutters at affordable prices and helps to save on your energy bills.